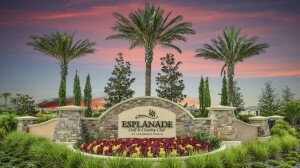 As the newest and only active lifestyle village in Lakewood Ranch, Esplanade offers maintenance-free living at an amazing value. Nestled on 600 acres just north of State Road 70, this gated enclave of 1250 detached villas and single family homes brings a touch of the Mediterranean to Southwest Florida with its regional-inspired architecture, lush landscaping, serene lakes, and fabulous resort-style amenities including a full time Lifestyle Director located on site. The residents will have non-restricted use of on-site facilities, including a heated lagoon-style pool and spa, resistance pool, outdoor barbeque space, fire pit, Pickleball and Bocce courts and more…all accessible by golf cart. The centerpiece of Esplanade is a beautifully appointed clubhouse, complete with fitness and aerobics center, grand ballroom, card and craft room, catering kitchen, billiard room and library. 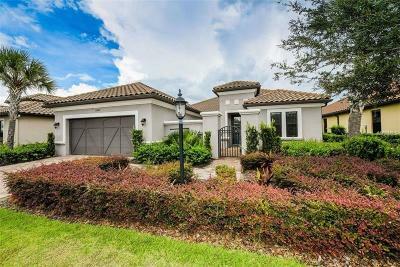 Miles of walking trails with gazebos crisscross the community, and there is even a formal events lawn, fitness lawn, canoe and kayak launch, fenced bark park, and adventure playground.